Tata Motors loves perfection, as it seems. Tata Motors is upgrading Old Tata Nano with a new starter motor. New Tata Nano 2012 already has this starter motor installed in it. The Tata Nano which had produced up to mid September 2011 will have a new starter motor which will enhance their performance promisingly. As per information, 50,000 old Nanos have met the change and 65,000 Nanos are yet to go through this change for their better. The new Tata Nano 2012 has lightened hope in many as it comes with posse of attractive features at the same price. Tata Nano 2012 exclusive features include new colors, cozy interiors, fine AC and a more powerful gasoline engine with fuel efficiency of 25.4 kmpl, earlier which was around 23.6kmpl. Tata Nano is a swift, smooth car which is easy to handle and sustain. 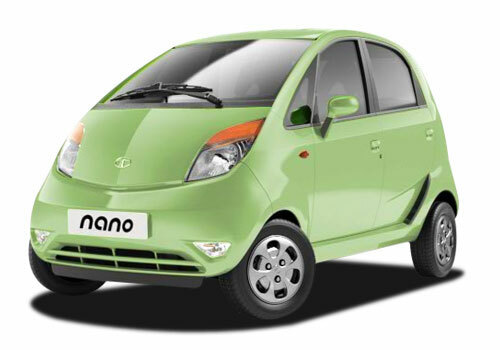 Tata Nano has always persisted on improving its efficiency and designs. Tata Nano 2012 comes with revised suspension set-up and an anti-roll bar at the front. The interiors of Tata Nano are very rich with luxurious beige in the Nano LX, rich black in Nano CX and stunning medium graphite in the Standard version. Tata India values the feedbacks and suggestions of its customers. From its conception to date it has kept on proving and improving. Owners are happy and proud to treasure their Nanos, the surveys suggest. Tata Nano once in a while comes in news due to some faults but every car has same story. Tata Motors put their 100 percent efforts to make the Nano best small car. Optimistically, Tata Motors will keep upgrading Tata Nano’s design, interior features, efficiency, mileage and safety features in order to provide best and get satisfying results. Tata Nano 2012 is a contender in becoming the coming of age car.